Look, maybe you’re a huge basketball fan. Maybe you’re a huge puppy fan. Maybe you’re both! That’s what makes this video so perfect — you don’t have to choose. 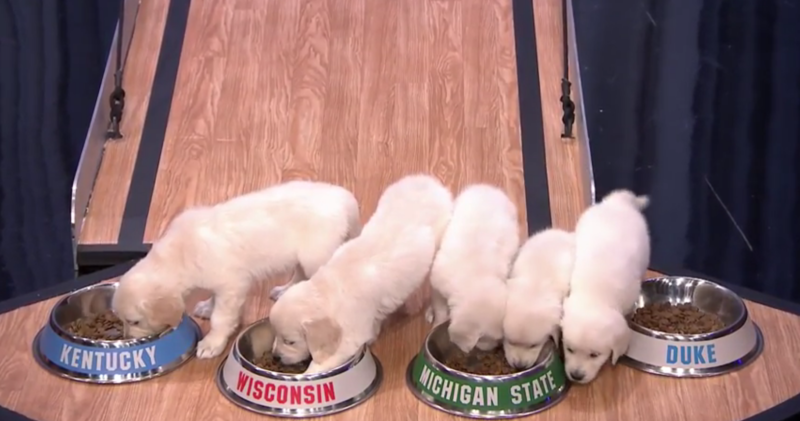 And even if the puppies didn’t choose your favorite March Madness team, you can’t be mad. They’re just too cute to be mad at.